We all have in mind the impact of posters in the collective thought of the last century. Some posters became icons. The influence and the relevance of posters were common to all countries and a deep study of these complex creations, pioneer mixture of visual and copywriting, is often the proper way to discover an unexpected nuance or maybe a slight difference between two countries/governments around the same theme of propaganda. 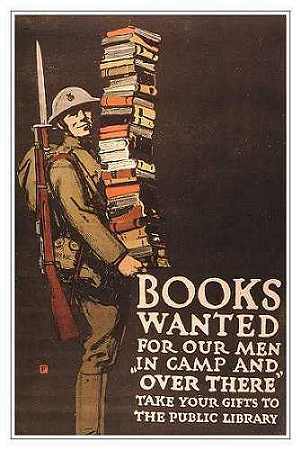 So, there's more than one reason to be happy with what the Library of Congress Prints & Photographs Division did, making available online approximately two thousand posters created between 1914 and 1920. The most are related to the Great War, but you will find also a cospicuous part of German posters dating from the post-war years (and we know what those years meant for the German population, they all knew already from 1919, from The Economic Consequences of the Peace by J.M. Keynes). The digitalization encopasses posters from Australia, Austria, Belgium, Canada, Germany, Great Britain, Italy, the Netherlands and Russia and the collection is constantly growing.